BARACK OBAMA, LOST IN SMALLNESS … This is what happens when you make a community organizer, an individual more concerned about vacations and golfing and an individual who cares more about the ruse of “global warming” than America’s place in the world as president. How this failure was reelected will take decades to undo. Hey We the People, remember when candidate Barack Obama made promises to make America respected in the world again, in 2008? Just curious, how that “Hopey-Changey” respect working out for ya? More respected under Obama, hardly. With the multitude of scandals, with a weak administration who refused to protect, save and capture the terrorist who killed four Americans in Benghazi, including Ambassador Stevens, with a neophyte in foreign affairs, we have a president that has made us a laughing stock in the eyes of the world and feared by no one, not even the South American power of Ecuador. China of course never respected Obama and now has political surveillance ammunition against the US. Now Russia comes out and tells Obama “NYET” to the United States demands for Edward Snowden’s extradition. US demands have fallen on deaf ears as the incredible shrinking President Obama looks smaller and smaller as days go by as he is disengaged in the process of what is supposed to be the greatest threat to United States security intelligence ever. If Snowden is such a security threat, why is Obama acting so apathetic? Obama is more concerned about the farce of global warming, than he is the NSA security breach. Doesn’t that speak volumes of Obama’s agenda. Russia’s foreign minister bluntly rejected U.S. demands to extradite National Security Agency leaker Edward Snowden, saying Tuesday that Snowden hasn’t crossed the Russian border. Sergey Lavrov insisted that Russia has nothing to do with Snowden or his travel plans. Lavrov wouldn’t say where Snowden is, but he lashed out angrily at Washington for demanding his extradition and warning of negative consequences if Moscow fails to comply. U.S. Secretary of State John Kerry on Monday urged Moscow to “do the right thing” and turn over Snowden. And you actually questioned whether NBC’s David Gregory was a lapdog for the Obama administration? WOW, NBC’s David Gregory might have hit a new low in journalism as he does his best Attorney General Eric Holder imitation on Sunday’s “Meet the Press”. Wasn’t it just a month ago that the MSM was up in arms over AP-gate and Fox News’ James Rosen being wrongly accused of being charged as a criminal co-conspirator by Holder? Wasn’t it also the liberal MSM that was against the Patriot Act when Bush was president? They said it was an invasion of privacy and no one should be allowed to know what books you take out of the library. Now the NSA’s databases and data mining are on steroids under Obama and its the journalist who should be charged with a crime? Hmm. As reported at The Politico, NBC’s David Gregory basically accused The Guardian’s Glenn Greenwald of aiding and abetting NSA whistleblower Edward Snowden and asked why he shouldn’t be charged with a crime for having “aided and abetted” former National Security Agency analyst. Needless to say, Greenwald returned fire and let Gregory have it calling his a shameful journalist saying, it is “pretty extraordinary that anybody who would call themselves a journalist would publicly muse about whether or not other journalists should be charged with felonies.” Edward Snowden has been charged with a crime and espionage; however, should we really be doing the same to investigative journalist? NBC “Meet the Press” host David Gregory got a rise out of Glenn Greenwald on Sunday by asking the Guardian reporter why he shouldn’t be charged with a crime for having “aided and abetted” former National Security Agency analyst Edward Snowden. Greenwald said Gregory was embracing the Obama administration’s attempt to “criminalize investigative journalism,” citing an FBI agent’s characterization of Fox News journalist James Rosen as a probable co-conspirator of a State Department contractor who was suspected of leaking classified information to Rosen. Rosen was not charged. “If you want to embrace that theory, it means that every investigative journalist in the United States who works with their sources, who receives classified information is a criminal, and it’s precisely those theories and precisely that climate that has become so menacing in the United States,” said Greenwald, a former constitutional and civil rights lawyer who has written three books contending that the government has violated personal rights in the name of protecting national security. More at the HUFFPO, including the tweet war between Gregory and Greenwald. No matter what side one comes down on the Snowden debate as to whether he is a hero or criminal, the investigative journalism side of it is a different story. I have my reservations about Snowden, one normally does not go to China, Russia, Ecuador or Venezuela and fall your self a freedom fighting patriot. By the same token, I have my reservations as well about a government that no longer is of, by and for the people, but instead seems to be against its people. A war on terror is one thing, but so is the US Constitution and the Bill of Rights. But it is quite remarkable that the liberal MSM is going against their own and accuse Greenwald of the very thing that was a media uproar against the Obama administration and Eric Holder with their accusations that James Rosen was a co-conspirator. Some one might want to take away Gregory’s journalism card. Because contrary to his post interviewing tweet whines, Gregory was not asking a question or debating, he was accusing. As reported at CNN, U.S. prosecutors have charged NSA whistleblower Edward Snowden with espionage and theft of government property. 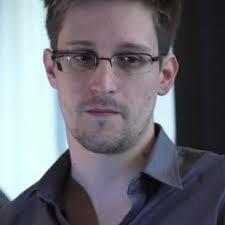 According to the WAPO, Snowden was charged with theft, “unauthorized communication of national defense information” and “willful communication of classified communications intelligence information to an unauthorized person.” The United States has asked Hong Kong to detain the former National Security Agency contract analyst on a provisional arrest warrant. From KTLA5, the complaint was filed June 14 in the Eastern District of Virginia, a jurisdiction where Snowden’s former employer, Booz Allen Hamilton, is headquartered. Federal prosecutors have charged Edward Snowden, the man who admitted leaking top-secret details about U.S. surveillance programs, with espionage and theft of government property, according to a criminal complaint unsealed in U.S. District Court in Virginia on Friday. The complaint charges Snowden with theft of government property, unauthorized communication of national defense information and willful communication of classified communications intelligence to an unauthorized person. The latter two allegations amount to espionage under the federal Espionage Act.